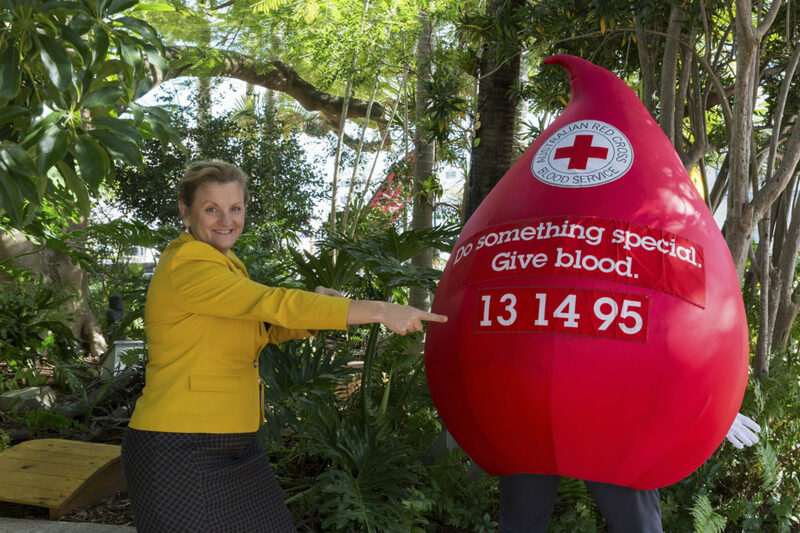 Redland City Mayor Karen Williams will be one of over 50 Council staff and elected representatives rolling up their sleeves this month to give blood. And you can do the same! Councillor Williams said it would be her first time giving blood after being approached by two very passionate Council officers, Dean Butcher and Kelly Ede, who are encouraging their colleagues to participate in the Australian Red Cross Blood Service’s Red25 2018 Councils Blood Challenge. “The challenge runs from 1 July to 30 September and to get the ball rolling, Dean and Kelly have organised for the Australian Red Cross Blood Service to bring a mobile blood donor centre specifically for Council officers to donate”. “But the hope is that staff will continue to donate blood through regular channels – with every donation counting towards Redland City Council’s total. We’ll be competing with our neighbouring Councils and aim to top the donation leaderboard,” Cr Williams said. “It’s just the push I needed to take the plunge and give blood and I hope it will encourage others in the community to do the same. Although Mayor Williams is giving through the Council blood drive, the Australian Red Cross Blood Service will be back in town the following week for members of the public, who can book their donation time directly. To make an appointment, call 13 14 95 or visit the Australian Red Cross Blood Service website. Mayor Williams said that donors could join the Redland City Council Red25 group either when calling to book, when booking online, or by asking the nursing team on donation day. “Doing so will mean that all donations given go towards the Redland City Council’s tally. “Rise to the challenge. Join in to save lives in our community,” Cr Williams said.